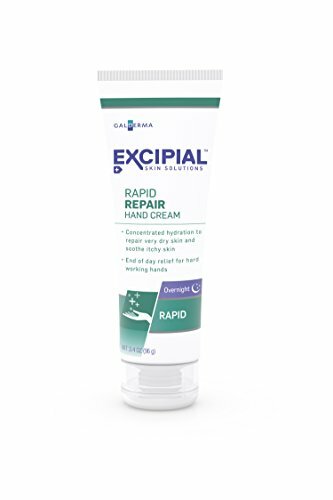 Excipial Rapid is hands-down the best hand cream for nurses you can grab. It’s been designed specifically for hardworking hands and responds perfectly to your needs. It has a concentrated, lightweight formula that will not leave those nasty greasy residues on your skin. At the same time, it provides intensive hydration and acts where needed to repair the dry, itchy derma. 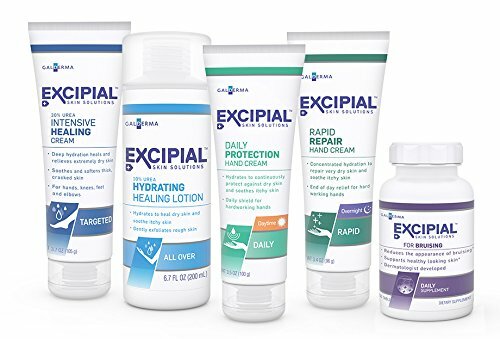 Created by dermatologists and ideal to use even by those with sensitivities, Excipial is enriched with emollients and skin conditioners. It can strengthen and support the natural barrier of your skin without compromising its delicate balance. While you can expect to pay for all these qualities, the deeply penetrating and fast-absorbing formula, as well as the lack of colorants and fragrances make this hands cream a nice treat to have in your nurse beauty kit. 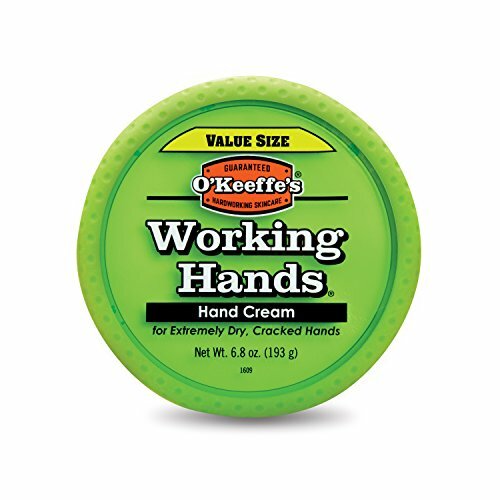 If you want a good, moisturizing cream but don’t want to break the bank, the O'Keeffe's Working Hands can fit the bill. This concentrated hand cream comes in a stylish jar and is perfect for the extremely dry and cracked hands. It is formulated to provide quick hydration while healing and relieving the hand's skin. To do that, the cream provides a protective layer that not only boosts moisture but also prevents further moisture loss. It contains natural ingredients, and it is safe to apply multiple times throughout the day. Its best quality, however, is the formula designed for people with diabetes. You won’t have to worry about potentially harmful ingredients regardless of any underlying conditions, and if you don’t like the jar option, know that this cream also comes in a convenient squeeze tube. 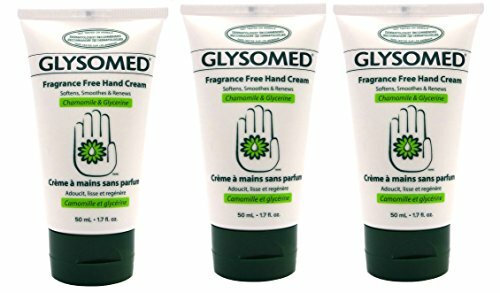 Another exceptional cream you can use to soothe your itchy nurse hands is the Glysomed Hand Cream. This product is clinically tested to hydrate and moisturize even the driest skin, and it’s suitable to use by sensitive people as long as you’re not sensitive to silicone or glycerin. In fact, the two are active ingredients in this cream. They act in tandem; glycerin goes first and moisturizes your skin, after which the silicone locks in moisture and keeps your hands soft and crack-free for longer. The cream also contains chamomile, a natural ingredient known since antiquity for its soothing properties. Just as you could expect, its role is to calm your irritated skin and soothe itchiness after a long day of work. What we like less is the slightly oily feel left by the silicone, but that could be a plus when you’re wearing latex gloves for a long time. Coming at a more than attractive price point and in a pack of three, this is one of the best reviewed hand creams for nurses on a tight budget. 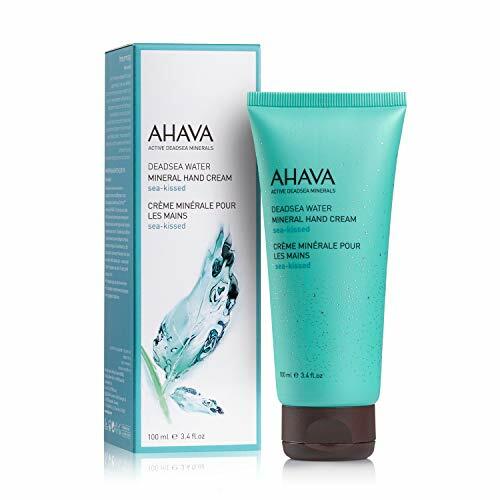 AHAVA produces a nice collection of hand creams, all of which incorporate natural ingredients renowned for their moisturizing and skin-repairing properties. From all though, nurses will benefit the most from this formulation with Dead Sea minerals. This refreshing, scented cream is developed to nourish dry skin and maintain hands hydrated regardless of how many times you have to wash or disinfect them. It feels luxurious, and the nutrient-rich Dead Sea minerals and smoothening witch hazel extracts will moisturize your skin application after application. We truly like the fact that its vegan, as well as the paraben-free formulation. It’s perfect for daily use, and it’s even allegedly hypoallergenic. We wouldn’t bet on that claim though; the product contains fragrances which may trigger allergic reactions in the overly-sensitive. If you don’t know yourself to be sensitive though, this hands cream could be a nice treat. 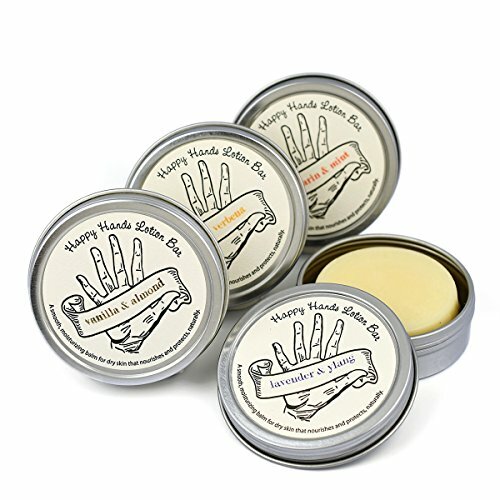 From all the creams and lotions out there, the Happy Hands by Seattle Sundries is by far our best hand lotion for nurses, and for anyone else with dry skin as a matter of fact. What we like best it that it comes in a solid lotion bar. It comes in a stylish jar and is easy to carry in your purse. Another thing we truly like is its all-natural formulation. The brand uses no automated production processes and makes this lotion from exclusively natural ingredients including beeswax, pure essential oils, and Shea butter. This means that although scented, the lotion won’t cause rashes or allergies. It has no chemicals or synthetic ingredients and is formulated to provide the deep nourishment dry skin needs. This solid lotion bar comes in a pack of four 1.15 ounces jars stylishly packed in a pouch. Undoubtedly, this is a great gift either for you or for the nurse in your life. This shielding lotion by Gloves in a Bottle is more than a hand cream. You can use it on any part of your body to soothe itchy skin and moisturize eczemas and cracked skin. The lotion acts as a shield; it is formulated to bond onto the epidermis and lock in the natural oils, preventing dehydration. It is ideal for nurses, but also for people suffering from psoriasis, diabetes, or other conditions that may lead to eczema. Perhaps the greatest feature of this lotion is that it doesn’t add any artificial greasy moisture; instead, it protects your hands even from soaps, cleaning products, and sanitizers. It also comes off naturally, prevents allergies and rashes, and is effective to use on all your body, including your feet. 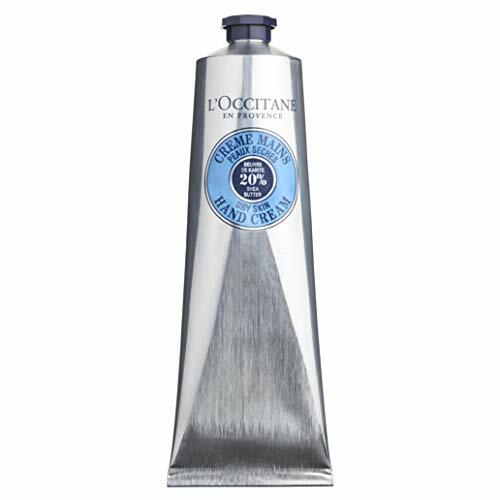 From one of the most popular cosmetic brands in Europe, L’Occitane, one of the best hand creams for nurses you can find. This super-creamy balm is formulated to hydrate and soothe dry, itchy skin in the blink of an eye and comes enriched with a wealth of natural ingredients you’ll like. Moisturizing and nourishing, this hand cream contains 20% Shea butter. The rest of the ingredients include honey, coconut oil, and almond extract. All these are renowned for their shooting and moisturizing effect, making this cream a must-have. Another great thing is the fast-absorbing formulation that leaves no oily residue. Your hands will feel regenerated, and you can even use it as many times as you like each day. The convenient squeeze tube contains 5.2 fluid ounces of product and is designed to fit easily in your scrub’s pocket, handbag, or beauty kit. 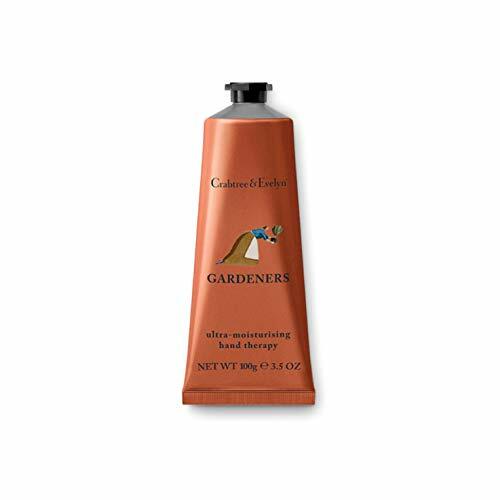 Another cream formulated for hard-working hands, the Crabtree & Evelyn Gardeners Ultra-Moisturising Hand Cream packs a wealth of natural ingredients that bring multiple benefits to your skin. The product is majorly natural and contains macadamia seed oil, Shea butter, as well as herbal extracts. It has a cooling, soothing effect and moisturizes dry skin almost instantly. The addition of vitamin E and hyaluronic acid also helps your derma maintain elasticity and prevent premature aging. Despite the most natural ingredients, the cream also contains some fragrances, so that’s a thing to keep in mind if you’re looking for all-natural protection. It also has a rather strong scent you may or may not like. All in all, though, this is an exceptional product to consider if you don’t suffer from skin allergies and don’t mind the myrrh fragrance. If you’re looking for an all-natural formula that can hydrate even the driest skin, perhaps the Beauty Care Wear Ultimate Hand Ointment is the right one for you. This lotion contains no additives and is ideal for allergic or hyper-sensitive people. It is also formulated to provide immediate relief in case of skin inflammation, itchiness, or eczema. It is particularly suitable for hard-working hands, as it provides a thick protective layer that will stay on for hours. However, this will leave a greasy residue on your skin, which makes it less suitable to use during the actual working hours. As an after-work hand treatment though, this ointment will undoubtedly live up to the expectations. 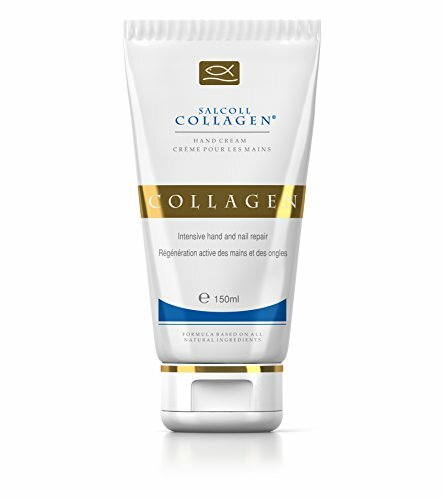 Another great entry on our list of the best hands creams and hand lotion for nurses, the SALCOLL COLLAGEN Anti-Aging Moisturizing Hand Cream is formulated specifically for those who use excessive soaps, detergents, and sanitizers. Its strength is the rich collagen content, a natural ingredient essential for maintaining the elasticity of the skin. Collagen also has anti-aging effects and protects the epidermis from the harsh action of most external agents including wind, chemicals, detergents, and even the extensive wear of latex gloves. Besides moisturizing, it also soothes irritation and calms the itchy sensation you might have after a full day at work. It is safe to apply on cracked or wounded skin too, and will unlikely trigger a sensitive reaction. As long as you don’t mind it’s rather awkward scent; this hand cream is a great alternative to all our options above. 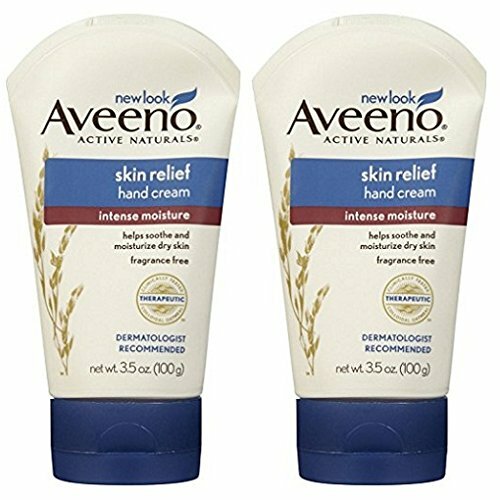 Aveeno is an extremely popular brand of hand cream and hand moisturizer for nurses, and for good reason. The value is excellent, and as a brand that specializes in this category, you can have more confidence that you aren't being provided with a crummy product.It's fragrance-free, which we personally prefer, especially if wearing it in a clinical setting. I have a little bit of personal bias with this hand cream, as it has been in my household for a while. I don't really use it extensively for repair of severely cracked or chaffed skin, but it's a great daily moisturizer that helps prevent those types of issues from occurring. Moreover, I find that many other people are familiar with Aveeno and like their products, whether or not they are nurses, so I like to have a bottle around the house in case people want to use some when they're over or staying as company. We say the value is really good because you get a pretty decent amount considering the low cost, and at the end of the day, it's pretty effective. It's marketed as non-greasy, but i still find it just a tad greasy, mainly when I first put it on. After a few minutes it's fine. One thing to keep in mind is that you shouldn't really use this on your face. While it's not harmful by any means, some of the ingredients may promote clogging of the pores, so if possible, try and limit this to your hands and body. If your face is really dry and you need to use it, no problem at all, but it's probably best not to make a daily habit out of it. Overall, we would recommend this hand cream for anyone looking for a familiar and basic, yet effective, moisturizing hand cream. It's a great item to have around the house, especially if you live in a climate with colder winters, or you just want something to prevent skin issues from arising after a long day of frequently washed hands. If you are unfamiliar with Burt's Bees, the man behind the company (Burt) is an extremely enthusiastic beekeeper that saw many benefits of beeswax and honey. He started out making lip chap, which you may already be familiar with, and he had a lot of success with it due to the effectiveness and natural origins of the product. We mention this because, to this day, Burt is still a down-to-earth beekeeper that's not out to rip everyone off, but instead, share the love of bees. 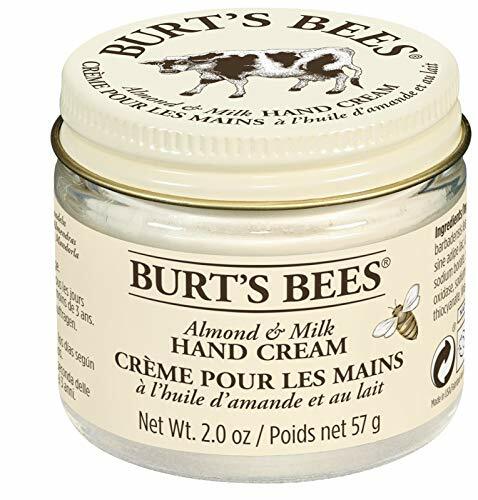 While not as popular as Burt's Bees lip chap, the Burt's Bees Almond and Milk Hand Cream could be an excellent option for nurses; however, we should say right away that there is an all-natural nutty almond scent, so it may not be great for a clinical setting, especially if there are restrictions on fragrances or potential for severe allergic reactions. We aren't entirely sure if this is a hypo-allergenic product, but in those cases, it might not be worth the risk. Otherwise, if you are using this product at home, it's great! It has a really creamy feel, which is weird at first because you think it's going to be really greasy, but it's not. The cream absorbs rather quickly, and rather than feeling greasy, your hands will simply feel much softer. The almond oil, milk, and Vitamin E all provide and facilitate moisturizing of the hands, while the natural beeswax essentially seals and conditions the skin. This is another extremely popular hand cream on the market, one that we decided was worthy of our vote for #1 best value hand cream for nurses and other health care professionals. There are many reasons why we say this, so allow us to explain. 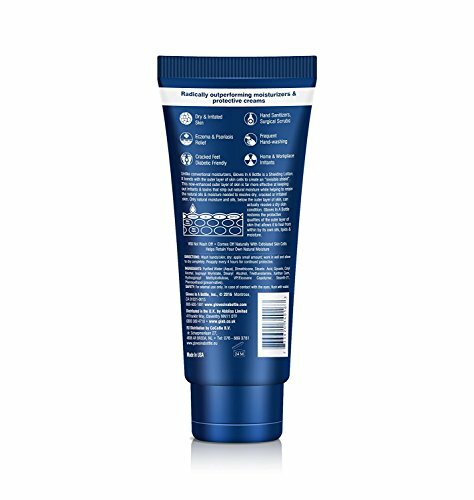 The Neutrogena Norwegian Formula Hand Cream provides excellent value especially considering its effectiveness. The bottle is fairly small, about 2 oz (56 grams), but you only need a tiny bit to cover your entire hands and feel the difference. This makes it a great option to have with you anywhere you go, including work. If you work in a clinical setting and are worried about the scent, don't be, because this hand cream is fragrance-free, a huge plus for nurses. If you prefer a slight fragrance, you can get this cream in a scented version as well. Additionally, the non-greasy formula will keep your hands feeling soft and moist, but not at all slippery or oily. This is in large part due to the relatively high concentration of glycerine, which promotes hydration and healing of the skin. Overall, this is an extremely popular and well-liked hand cream for nurses that is made by a reliable brand known for these types of products. It has everything a nurse would want in a hand cream, and when combined with the portable size and the relatively low cost, it's available at an excellent value price point. In fact, on Amazon you can usually find them in packs of multiple bottles, which can add even more value to an already good hand cream. This Jack Black Industrial Strength Hand Healer is generally marketed towards males (if you couldn't already tell from the name), but realistically, anyone can use it. This is a great hand cream that focuses a little more on actually healing dry, cracked, and/or chaffed hands, as opposed to general daily use (although it can be used for that, too). This hand cream has a lot of desirable characteristics. For example, it's alcohol-free, colorant-free, paraben-free, uses certified organic ingredients, vegan, cruelty-free, safe and suitable for all skin types, and dermatologist-tested. They also market it as a fragrance-free hand cream, which is sort of is, but you may notice a slight menthol-type scent when you first apply it. This only lasts a few minutes though. Similar to the caveat surrounding its fragrance-free property, it's also non-greasy, but still seems a little greasy within the first few minutes of application. Nothing super noticeable, but just a warning that you may feel like it's a little oily the first few minutes after application, but it does go away pretty quickly. As you feel the oiliness going away, you may also notice a nice refreshing "cool" feeling (most likely related to the initial very slight menthol scent), and the greasiness will disappear, leaving your hands feeling great and natural. 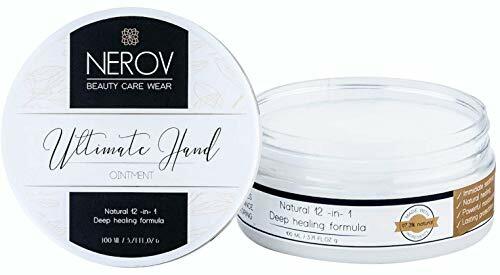 Overall, this hand cream is extremely well-liked by those with dry, cracked, chaffed, and even cut hands, or with other conditions like ecz﻿﻿﻿ema as well. It doesn't go on too thick that it's difficult to rub in, but it's also not overly thin to make it feel useless, just a perfect balance for those looking for a rejuvenating and healing hand cream, which are great properties for nurses and other health care professionals who are constantly washing and scrubbing their hands. This certainly isn't a fancy-looking product, but wow, does it ever get the job done. 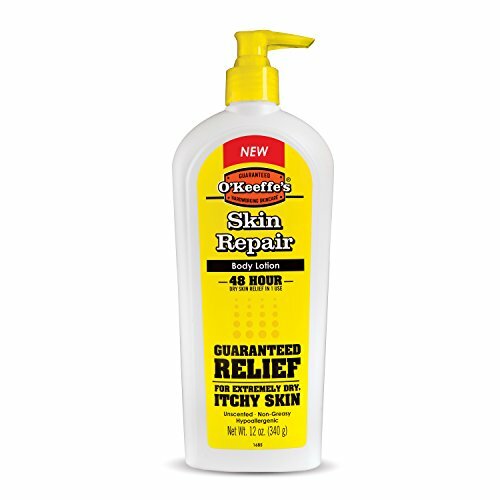 O'Keefe's Skin Repair Body Lotion is relatively new on the market compared to many other brands, but this is isn't just a fad. The immense popularity of this hand lotion is merit-based, as it's simply known to be super effective by moisturizing and protecting against dryness for 48 hours. Your hands speak volumes about you, and this is particularly true when you’re working with people. As a nurse, you will have to touch your patients constantly, and the scratchy feel of dry and cracked skin is not at all reassuring. That’s why you need a hand cream or lotion able to keep your skin soft and hydrated even on those long shifts. Not all hand creams and lotions were created equal. Apart from subjective considerations, such as the brand or specific formulation though, there are a few things all moisturizing and repairing hand creams must have in common. Fatty oils – Are natural ingredients known for their therapeutic effects on dry or damaged skin. Be it sweet almond oil, avocado or argan oil, these substances have the ability to retain moisture and provide intense hydration. No matter what type of cream or lotion you like, make sure it is enriched with at least one of the oils above. Humectants – Despite the fancy name, these are straightforward ingredients found in most skincare products. We’re majorly talking of glycerin, although propylene glycol is also used by some brands. If you have a choice though, we recommend going for glycerin, which is a non-toxic compound that has no harmful effects. Vitamin E – From all the vitamin spectrum out there, vitamin E is the most beneficial to the skin. It enhances the natural UV defenses of your skin; it moisturizes it and has anti-aging properties by promoting the natural collagen production. Shea butter – Is one of the oldest remedies used in the treatment of eczema. It contains vitamin A and E alongside essential fatty oils, and it even provides some UV protection. What you should avoid at all costs are fragrances. Not only strong scents might upset your patients, but most fragrances can also trigger allergic reactions. Since your skin is already exposed to harsh agents, you’d better steer clear from all creams and lotions that are scented, unless the scent comes from an essential oil extract. Why do nurses need good hand cream? When I talk about this outside of work, people are often surprised to hear that nursing can be tough on the hands. Most of this misconception comes from the fact that most nurses work indoors, and therefore are not exposed to the "elements". Additionally, people outside of the medical professions often think that nurses have access to, and use, the highest quality treatments all the time. However, given the craziness that often occurs during a shift, nurses simply don't have time to be attending to themselves, and therefore are left recovering once they are off shift. One of the main reasons that nurses' hands suffer after a set of shifts, and even more after making this full time work routine, is the constant hand washing and scrubbing. For most people in the general population, hand washing is something that can help hand health. While hand washing is certainly mandatory for good reasons in the nursing profession, the sheer amount of hand washing and thorough scrubbing involved, usually with harsher soaps, as well as the application of hand sanitizer, leads to the hands becoming extremely dry, and eventually cracking and becoming painful, as well giving them a generally rough appearance. Nurses and nursing students often find many benefits from having a really nice high-quality hand cream that they can apply during breaks and on their off days. While more common and standard hand cream can totally have benefits as well, nurses are one of the professions that can really get more out of high-quality hand creams. However, these high-quality moisturizing hand creams can sometimes be quite expensive, and it makes it really difficult to decide whether or not a certain hand cream is worth buying. Generally speaking, if the hand cream is highly popular, backed by science, and they aren't just making bold claims without any justification, then there's a decent chance it will be a worthwhile purchase, at least to try and get a sense of the effectiveness of these types of hand creams in general. Why does hand washing and scrubbing irritate skin? This is a notion that many people find counter-intuitive. If we are constantly immersing our hands in water, as well as cleaning them, shouldn't they be more soft and hydrates if anything? If we break it down a little, one can start to see more clearly why hand washing and scrubbing can make your hands dry, chaffed, and cracked. First of all, most soaps are alkaline (basic and dissolved in water, as opposed to acidic), whereas the natural oils on our hands tend to have a slightly acidic pH. The soap can strip these natural protective oils away, which usually isn't a big deal because your hands can replenish them rather quickly. However, for nurses and other health care professionals who are constantly washing their hands, their hands may not have the adequate time needed between washes to replenish these protective oils, thereby leaving the hands more exposed to the elements throughout the day. Drying your hands with a towel can also be more beneficial than air drying. When water is in contact with your skin and evaporation occurs, some people believe this evaporation can also disrupt the natural oils as well as the skin itself, leaving it feeling a little more dry than when dried with a towel. Last but not least, nurses have to wash their hands thoroughly. This means ample soap, water, and lots of thorough scrubbing. In addition to the soap and water we described previously, the physical act of repeatedly scrubbing your hands at the same time can also act to wear down the skin. In summary, hand washing and scrubbing is extremely important for anyone in a clinical setting, especially nurses. The sheer amount of repetitive washing means your hands cannot replenish the natural oils quickly enough, which is where a good hand cream for nurses can really make a huge difference. What makes a good hand cream for nurses? There are so many different brands and types of hand creams out there that it can be difficult to know what is and isn't important. If you're a nurse and are looking for the best hand cream, a lot of this will simply come down to personal preference; however, there are a few things to keep in mind that may help with a decision. Many clinical settings prohibit the use of fragrances and scents. Usually, hand creams aren't the worst for this, especially in comparison to perfumes and body sprays, but if you want to play it safe, it's probably best to look for a fragrance-free/scent-free hand cream, or worst case, something that is just lightly scented. Also, look for the term "non-greasy" or "non-oily". These are indications that the hand cream can be applied anywhere and any time of day. Usually they will feel a little greasy at first, but after a few seconds or minutes you shouldn't notice the cream at all, other than your hands feeling better. If you're applying the hand cream at home, for example, before bed, then this won't matter as much. There isn't anything wrong with a hand cream that is slightly greasier, it just makes your hands feel a little more slippery. In our opinion, practical considerations should play a fairly large role in the decision as well. We like hand creams that come in small portable bottles, and that you don't need to use much of. 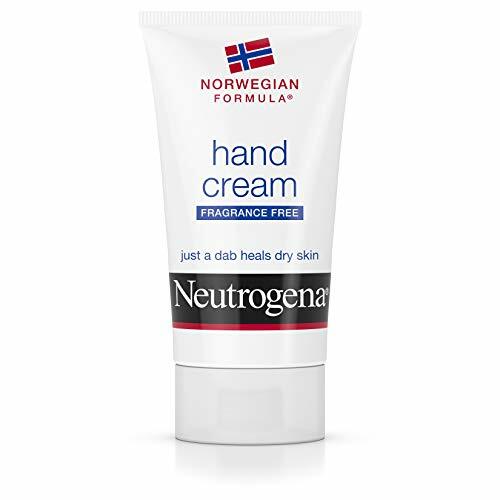 For example, the Neutrogena Norwegian Formula hand cream we reviewed above is a great example of this. The bottles are usually really small, often around 2 oz, but you only need a small drop of the cream for it to be effective, so it still lasts a while. This makes it really easy to have on you and apply throughout the day. If you're a nurse and don't want to carry it around in your scrubs pocket, you can still easy apply it on your breaks, and if you need to take it back and forth from work to home, it's not a big deal at all. It's funny the things that you realize are important once you gain some experience on the job. While nursing-specific items like scrubs, stethoscopes, specially designed watches, etc, are all important, more practical items can be just as important as well, and are often crucial to maintaining a healthy lifestyle while you work your way through some long grueling shifts. A few things I noticed that made huge differences in my overall well-being, particularly from a comfort standpoint, were good shoes, compression stockings, appropriate timing of caffeine intake, healthy diet/exercise/sleep outside of work, and last but not least, good hand cream! Copyright text 2019 by Nightly Nurse.